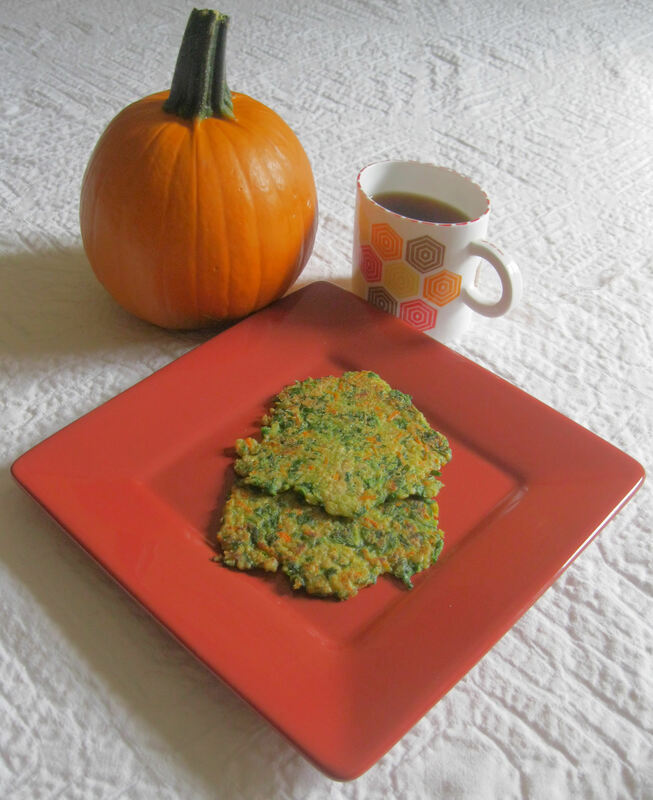 AF Oat Pancakes – yummy! – Allergy Foodie: Thrive with top 8 food allergies! AF Oat Pancakes – yummy! 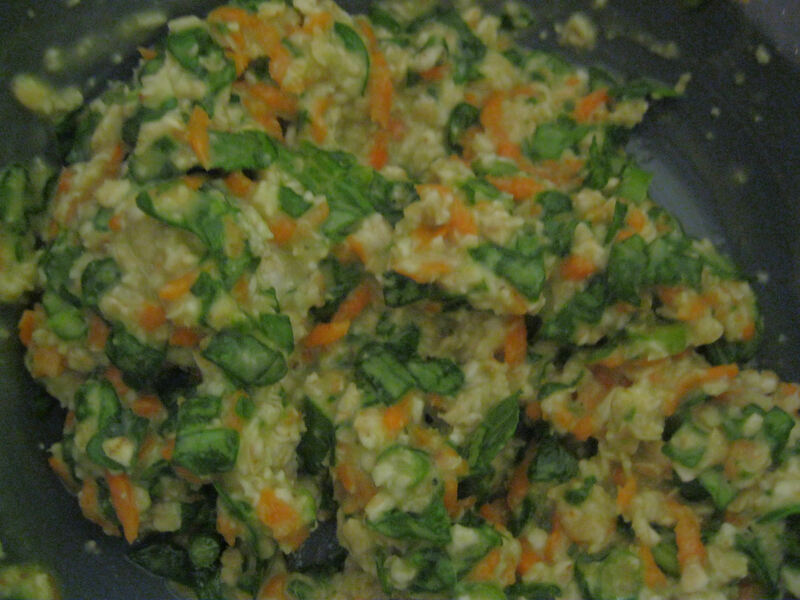 Finely chopped spinach and shredded carrots. 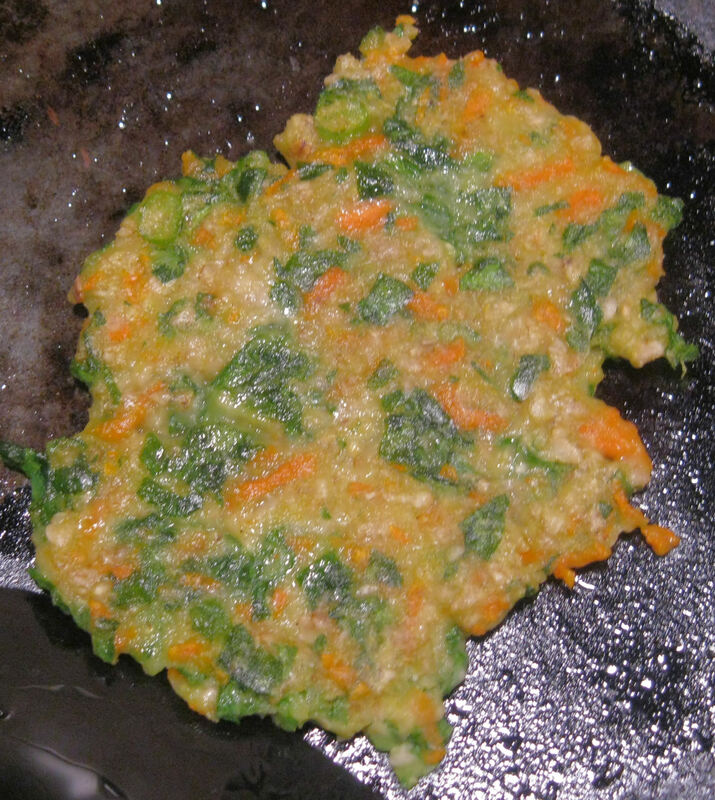 2) Add the rice flour, chopped spinach, shredded carrots and salt&nbsp;to the oats and mix thoroughly. It should be of the consistency of thick cookie batter. Oat Pancake batter - ooh, so healthy looking! 3) Place a cast iron griddle/ skillet on low flame. A non-stick skillet can also be used but I prefer staying away from non-stick. 4) When the pan is slightly heated, take a tablespoon of the batter and place it in the middle of the pan. Gently press down the batter with the back of the spoon so it spreads out to form a small pancake. You could either use the spoon used to ladle out the batter or use an oiled tablespoon so that spreading is easier and the dough does not stick to the spoon. 5) Dot the edges of the pancake with approximately 1/4 tsp of oil and increase the flame to medium. 6) After 2-3 minutes, flip the pancake with a flat spatula and gently press down the pancake so it becomes thinner. Cook for 2-3 minutes on the other side too. Both sides can be cooked for 1-2 minutes longer if you desire a dark golden and crispier pancake. 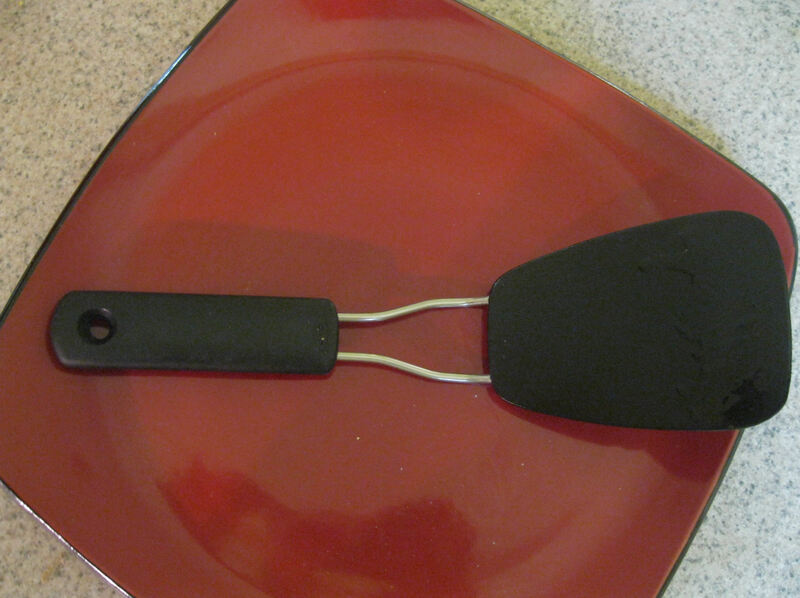 The spatula that works like a charm for making these pancakes. Up close and personal - healthy and delicious! 8) An important note – before making the next pancake, reduce the flame to low again. Bundle up a paper towel and wet it a little and use it wipe the surface of the pan. Wait for a few seconds for the pan to cool down further. Now the pan is ready for the next tablespoon of batter. If the pan is too hot, the batter will start cooking the moment we put it on the skillet, making it difficult for us to spread it. 1) If veggies is not your cup of tea, substitute the salt and veggies for a teaspoon of sugar and follow the rest of the steps as above. Serve it with syrup! Next Next post: Cocoa V, decadence & bonhomie!